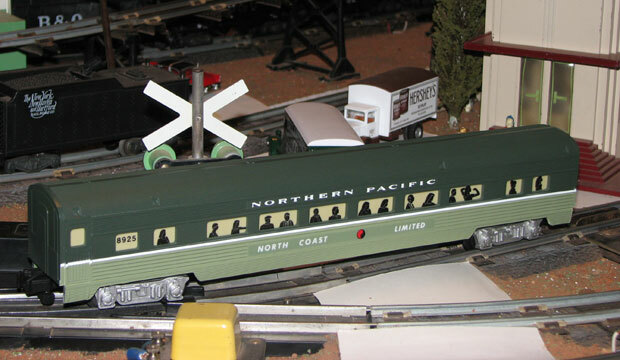 Lionel made its version of the Northern Pacific Passenger Train (#49602) in 1992. 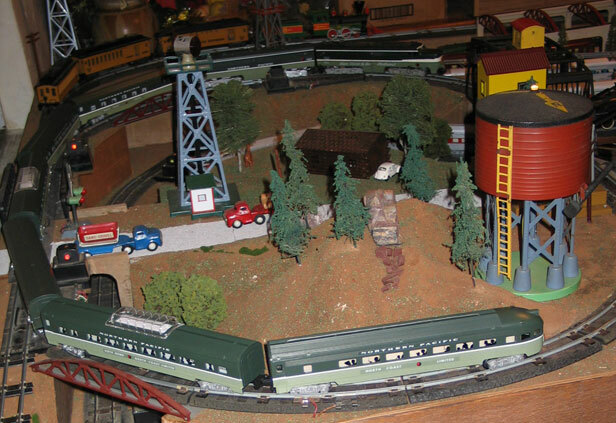 The set comprised an Alco ABA diesel engine set and the traditional four passenger cars. Three other cars and another B-unit engine were sold separately as add-ons. 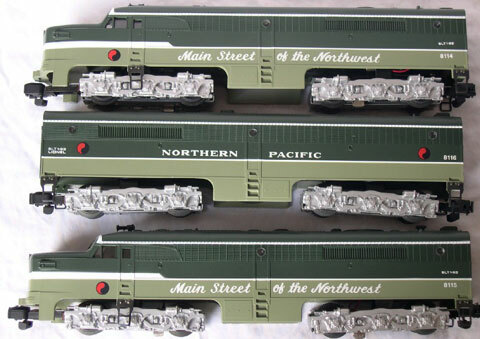 Northern Pacific Alco ABA engine set made in 1992. 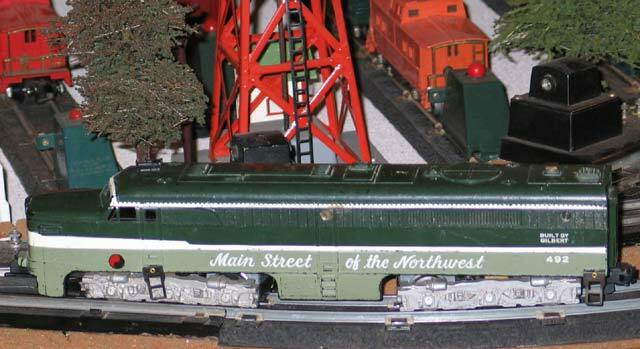 It comprised a #48114 powered A unit, #48116 dummy B Unit, and #48115 dummy A Unit. Because I don't yet have the Lionel Alco A units, this Gilbert unit pulls my train. #48923 observation car. Actually, it's a new 48923 shell that I mounted on the chassis of an old 963 I bought. (I gave up on trying to find one on an ebay auction.) I carefully removed the windows and diffuser and used them. #48117 Northern Pacific Dummy B-Unit with rail sounds made in 1992 as an add-on. 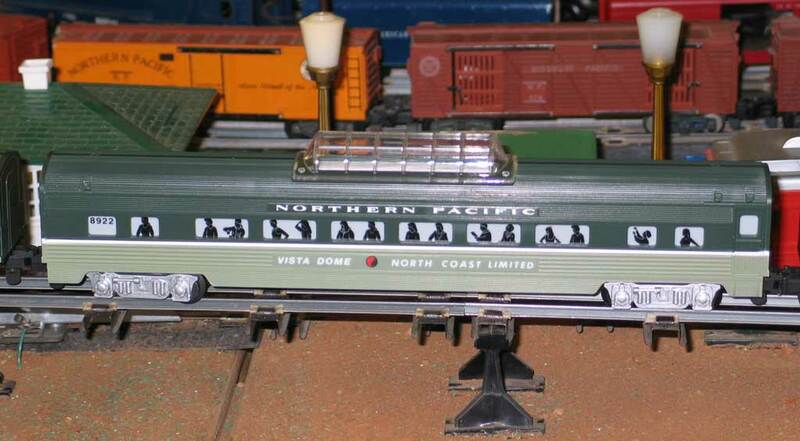 #48924 Vista Dome Car was separately sold in 1992 as an add-on car. #48925 Coach was the other add-on car sold separately in 1992.